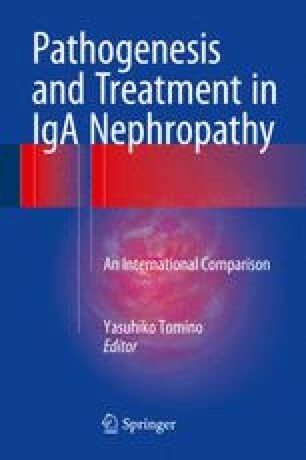 IgA nephropathy (IgAN) is the commonest pattern of primary glomerular disease worldwide and a leading cause of chronic kidney disease (CKD) and end-stage renal disease (ESRD). IgAN is simply defined by the presence of dominant or codominant mesangial IgA deposits on renal biopsy. Although the identification of mesangial IgA is straightforward, the consequences of this IgA deposition are highly variable. It has been recognised for some time that there is marked variability in the histopathological response to IgA deposition, and the epidemiology, clinical presentation and outcomes, pathogenesis and genetic associations are equally heterogeneous, raising the possibility that the ‘disease’ IgAN may in fact encompass a disparate group of endophenotypes/diseases with mesangial IgA deposition simply reflecting a final common end point. This chapter will review the evidence presented later in this book and discuss whether our traditional understanding of IgAN being a single disease, and the same disease in all parts of the world, should be challenged in the coming years.